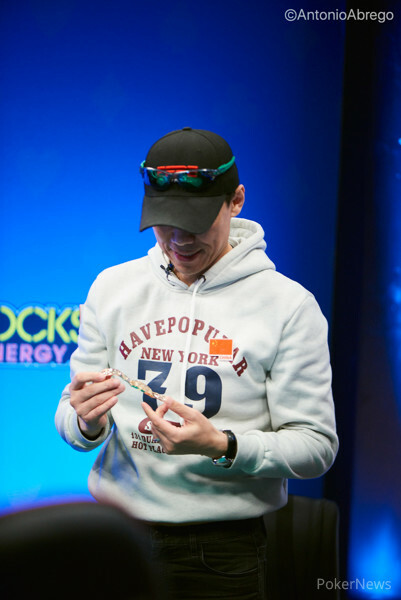 Hand #102: Chris Staats raised on the button and Francois Tosques three-bet to 2.25 million in the small blind. 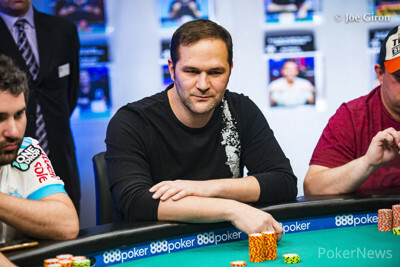 Jon Hoellein called for his remaining 640,000 in the big blind and Staats got out of the way. The brought a club sweat for Hoellein, but the turn and the river didn't do it. Hoellein is the sixth-place finisher, taking home the first six-figure payday of the tournament: $106,822.